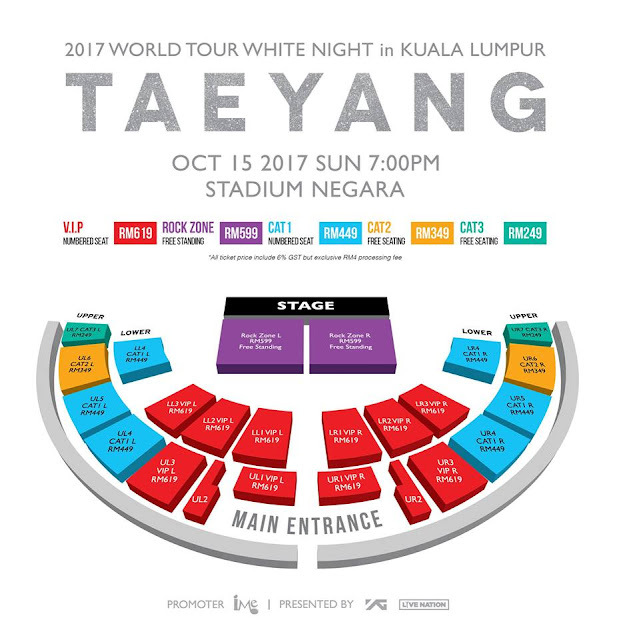 IME Asia, the organiser has confirmed that Big Bang's Taeyang will hold '2017 World Tour 'White Night' in Kuala Lumpur' on 15th October, 7pm at Stadium Negara and ticket launch is confirmed to be held on 3 September at PJ Atria Shopping Gallery from 11AM to 3PM. 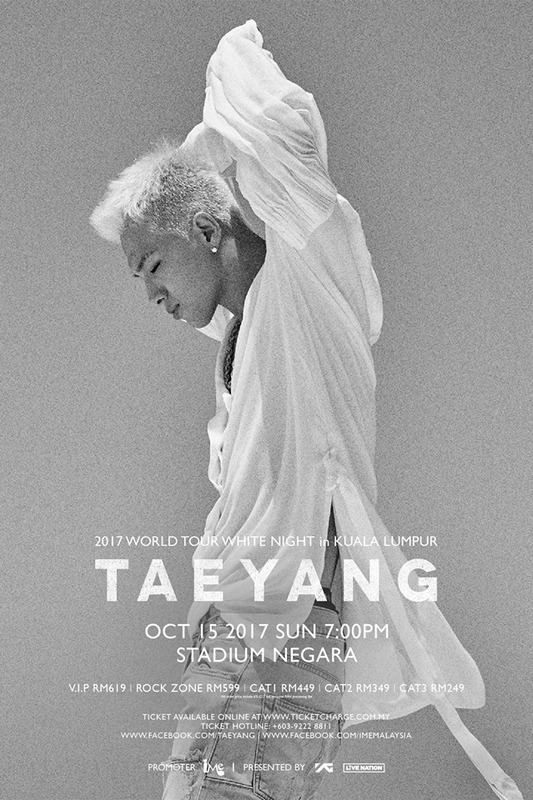 Followed by Seungri appearance and G-Dragon world tour in Malaysia, Taeyang is up next to visit the country for his solo world tour this October. For more ticket launch info, check HERE. Ticket Charge outlets include Speedy Video, Rock Corner, Chambers Music, PJ Live Arts, The Mines Shopping Mall and 1 Shamelin's information counter. Outstation outlets include Eden Ultimate (Kuantan) and Blonde Brunette (Penang) and TicketCharge KL& Penang office. You may also contact TicketCharge hotline at +603-92228811 for ticket purchase. 2nd half of 2017 definitely is the great season to meet Big Bang members.